A mortgage is a secured loan for which some type of collateral is required. The collateral can be any valuable asset, including real estate, vehicle, jewelry, etc. There are different types of collateral such as land, a mobile home, house, ship, and other structures and vehicles. Lenders usually require a down payment which is money paid in cash. It is a percentage of the cost of the home – usually between 5 and 20 percent. If the deal fails, the down payment is sometimes non-refundable. After the initial payment is made, borrowers pay the rest through monthly installments. This is referred to as the mortgage principal, which is the amount borrowed and due within a specified period of time. At any given time, the principal is equal to the outstanding balance less the amount paid back to the loan provider. The outstanding balance is reduced through regular payments, the amount of which is based on the term and size of the loan. In other words, it depends on the repayment schedule and the loan amount. The most popular type of loan is the 30-year mortgage. Amortization is another term that refers to decreasing or reduction of the outstanding balance. The capital expenses are deducted over a pre-agreed period of time. Spreadsheet software, including tables and charts, and financial calculators are used to calculate amortization. The balance is reduced until the end of the mortgage term. Closing refers to the date on which the borrower and lender seal the deal to transfer the ownership of the property. This process involves paperwork such as proof of hazard or homeowner’s insurance, flood certification, mortgage insurance, and contract. The homeowner should present inspection and home appraisal reports as well as proof of title search and good-faith estimate. 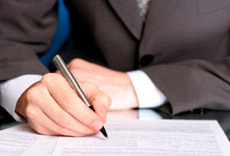 At closing, the borrower should pay the closing costs and sign the legal documents. The following parties participate – the real estate agent of the seller, the mortgagee or lender, and the borrower or mortgagor. In addition, the representative of the title company, an attorney, a closing agent, and the home seller are also present. Closing takes place after the borrower has paid the loan balance in full. Foreclosure occurs if the opposite happens, i.e. the mortgagor is unable to keep up with his monthly payments and defaults. This occurs when the borrower stops making interest and principal payments. The financial institution has the right to repossess and offer the property for sale. Alternatively, the creditor may offer adjustments and change the terms to make it easier for the debtor to make payments. These include changing the interest rate and the schedule of repayment. There are different types of mortgage loans, including conventional, assumable, fixed-rate, and adjustable rate. Borrowers who opt for the conventional variety get a loan that is up to 80 percent of the property’s purchase price or appraised value. Applicants can choose from fixed rate and adjustable rate. The main difference between conventional mortgages and other types is that the former meet the criteria established by Fannie Mae and Freddie Mac. The fixed-rate mortgage is another type whereby the interest rate is fixed over the term of the loan. Also know as vanilla wafer mortgage, this is a loan with fixed monthly payments. The main components that characterize it include duration, compounding frequency, rate of interest, and loan amount. Unlike this type, adjustable rate mortgages are offered with interest rates that fluctuate. This means that the monthly payments are adjusted to reflect changes in the interest rate. The payment goes up if the interest rate increases and vice versa. The main advantage is that mortgagors can save a considerable amount of money. Variable-rate or adjustable rate mortgages come with a lower initial rate of interest compared to other loans. Thus, the monthly payments are also lower. Another advantage is that it is easier to qualify for a variable-rate than for a fixed-rate mortgage. On the downside, when the interest rate goes up, the borrower may experience payment shock. Another problem is the difficulty of predicting adjustments and future payments because the interest rate fluctuates. Budgeting is more difficult, and the monthly payment may increase by up to 100 percent. Moreover, some financial institutions charge high refinancing fees and early payment penalties. The assumable mortgage is a fourth type of loan. The mortgagor can transfer the outstanding balance to a buyer who assumes the debt of the borrower. It becomes an attractive option in times when the interest rates increase. There are other types of loans to choose from, including multiple term, closed and open, high-ratio, and bridge financing. A first mortgage, for example, represents a first lien on a house, which gives precedence or priority of the first mortgagee over other lenders. Second mortgages, on the other hand, are subordinate and serve different purposes. This means that they are subordinate to other loans against the same real estate or home. This type of financing is intended for times when borrowers need a lot of money. People apply for a second mortgage to purchase real estate or a second home, avoid PMI, make home renovations and improvements, and create a HELOC. A HELOC or home equity credit line is actually a second mortgage. Borrowers who opt for this financial product pay closing fees and interest. The home serves as collateral to secure the loan. Given that a home is the most valuable asset for most people, HELOCs are usually used for major purchases and items like medical expenses, home renovations, and college education. The major difference between home equity lines of credit and other types of financing is that borrowers are not advanced the whole sum upfront. Moreover, HELOCs come with a variable interest rate, which fluctuates and is based on some index. There are other types of mortgages such as the all inclusive, 6 month adjustable, equity, and pre-approved, as well as bridge financing. Borrowers who are looking into these types of loans can use the services of a mortgage broker. This is a person who acts as an intermediary between financial institutions and applicants. The broker acts on behalf of companies and individual borrowers. There is a difference between mortgage bankers and brokers. The former sells financial products offered by a bank while the latter is an independent contractor. People who have blemished or no credit often use the services of a broker who scours mortgages to find the best product on the market. People who are looking for a reputable broker may ask a real estate professional or a tax advisor for recommendation. Financial institutions often require that borrowers purchase mortgage insurance. This is a type of policy that protects loan providers in case of default. The cost varies depending on different factors such as the type of loan, schedule of repayment, the value of the property, as well as the frequency of payments. It can be single, annual, or monthly. According to some experts, it is best to avoid private mortgage insurance because it is expensive. The policy is hard to cancel, and it may not be tax deductible. It is better to make a larger down payment, which will save a lot of money in the long run.